Graduation Season – Let us help! I hope everyone is having a great week! As I’m sure most of you know, the school year is winding down to an end! Students are ready and excited to spend their summer break outside in the Florida sunshine! What this also means for some is that Graduation season is upon us! It’s a time a celebrate your graduate and all of their education accomplishments since entering school. Are you using your home to host a graduation party? It’s a great time to have friends and family over to celebrate such a special occasion! What this also means is that you’re probably getting a little stressed about the planning and preparation involved. Use these simple steps to help guide you through the week ahead of your celebration. Day 1 – Plan! Get a plan together for your graduation party. What home projects need to be completed? Organize cleaning? How many people will you have? What will you do food? Theme? etc. Day 2 – Brighten Up Windows and Entryway – Get out the soap and water and clean your windows. This will brighten up your home. For your entry way declutter as much as possible. Put away coats, hats or anything that would make the space cluttered. Day 3 – Bathrooms – Clean your bathrooms! Freshen up and make sure this space is ready for your guest. Put away used towels and make sure bathroom is stocked with soaps, etc. Day 5 – Knock out the Kitchen! – This is the room that is used the most, where guest gather and it typically is the room in the home that gets the most abuse. Make sure all appliances are in working order for preparing food. Make sure any dirty dishes are cleaned and put away. Mop floors and clean surface areas. Day 6 – Decorate – Now is the time to hang banners, create photo collages, put out balloons and all the fun decorations to celebrate your graduate! Day 7 – Touch Up – Do a final walk through of your home and the areas you plan on entertaining in. Make sure everything is tidy and ready for your guest! It’s time to party! 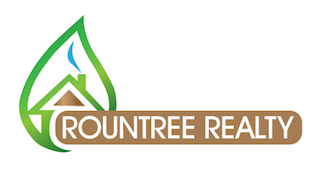 Rountree Realty wants to congratulate the Class of 2018! We’re very proud of you and we wish you the best with the next chapter of your life!